Russell Street Green Space is in the seaside city of Victoria, one of thirteen communities that form the Capital Regional District of British Columbia. A view of Victoria’s Middle Harbour from your car is possible at Russell Street Green Space. It lies immediately to the east of Rainbow Park and connects with the parkland with a paved pathway. 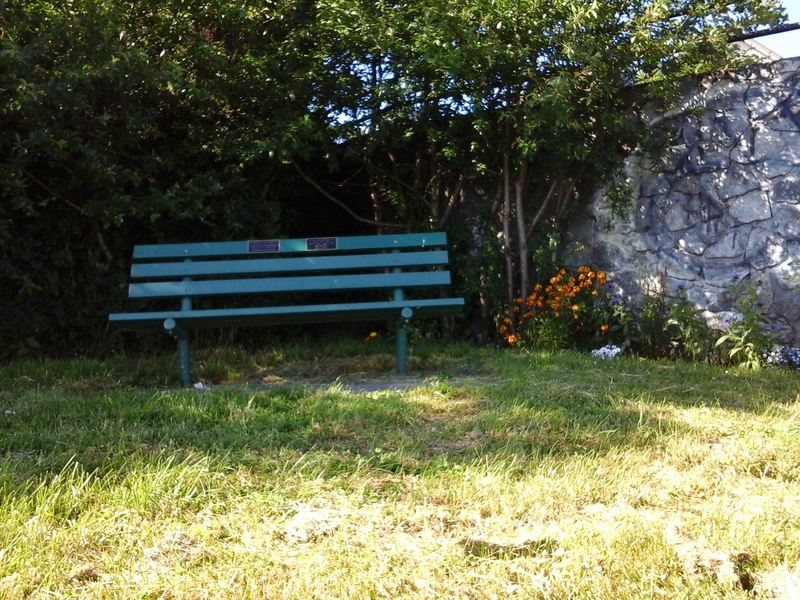 This green space is formed by the road right of way to the waters of the middle harbour. This beach access is useful to launching paddle boards, kayaks and canoes as it is a short walk to the rocky shore and there is a concrete ramp into the waters. It is possible good a lower low tides too. 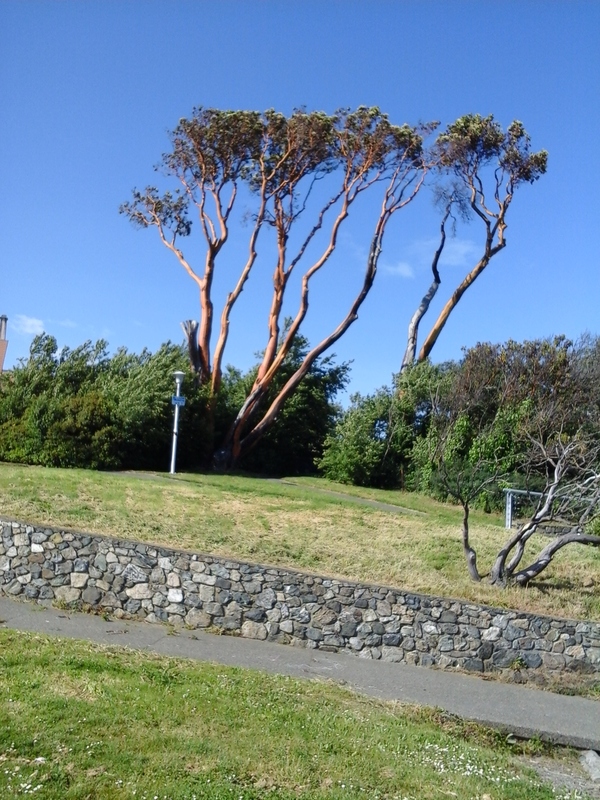 The large arbutus trees near the beach are picturesque. Robert Street Green Space is on the other side of Rainbow Park. Westsong Walkway passes through this green space. This walkway extents between Johnson Street Bridge, in Victoria, and Head Street, in Esquimalt. It is the north shore footpath that hugs the shoreline of Victoria’s Inner Harbour. Russell Street Green Space can be reached from the Trans Canada Highway. Continue along the highway as it becomes Douglas Street. Turn west onto Johnson Street and continue across the bridge onto Esquimalt Road. Continue along Esquimalt Road then turn left onto Russell Street, which is about three streets past the bridge. Follow Russell Street to the end of the road where there is limited parking. A city bus travels along Esquimalt Road from downtown.